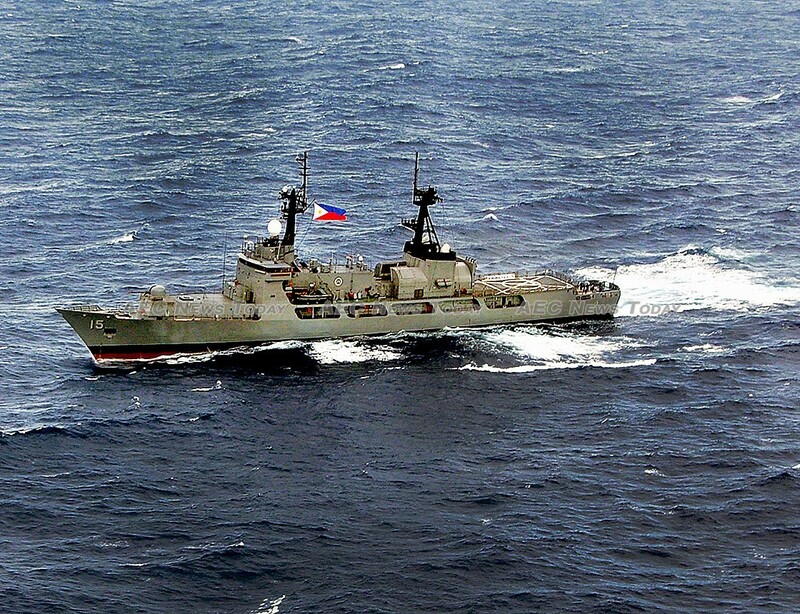 War: Philippines Says it Will Fight if 'Red Line' Crossed... With what? Philippines Foreign Affairs Secretary Alan Peter Cayetano on Monday defended the administrations apparent soft stance against China saying the country would go to war if its new-found benefactor crosses a red line. Reporters in Manila heard the same thing on Wednesday from National Security Adviser Hermogenes Esperon. 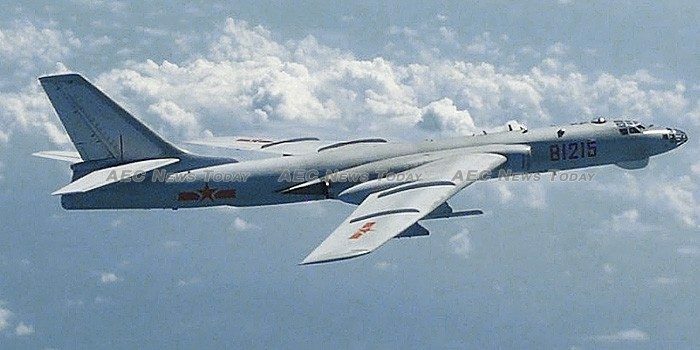 The talk of war comes against the announcement by Beijing last week that the People’s Liberation Army Air Force (PLAAF) had successfully conducted takeoff and landing exercises by bombers, including the nuclear-capable H-6K, on an unspecified island in the South China Sea. While analysts at the Center for Strategic and International Studies’ (CSISs’) Asia Maritime Transparency Initiative (AMTI) said it was likely Woody Island, China’s largest base in the Paracel Islands, located some 340 kilometres (about 211 miles) off the coast of Vietnam at Hoi An. In February 2016 as then US president Barack Obama sat down with Asean leaders for a special summit in Sunnylands, California, Beijing maneuvered 16 surface-to-air missile launchers and a radar system into position on the same island, in what has become a blueprint for others it claims. On May 2 CNBC reported that China had deployed anti-ship cruise missiles and surface-to-air missile systems on Fiery Cross Reef, Subi Reef, and Mischief Reef in the Spratly Islands, parts of which are claimed by Malaysia, Vietnam, the Philippines, and Brunei; and all of which China claims. According to the report the YJ-12B anti-ship missiles are capable of striking targets up to 295 nautical miles (about 546km) away, giving China effective control over the entrance to the South China Sea between the coasts of southern Vietnam and Palawan, the Philippines. The incident has again flamed concerns in the Philippines over China’s actions and intentions in the Spratly Islands, particularly Scarborough Shoal about 200 kilometers (130 miles) west of the Philippine island of Luzon. Speaking at a flag-raising celebration at the Department of Foreign Affairs on Monday, Mr Cayetano is reported by CNN as saying: “the President has already said that. If anyone gets the natural resources in the Western Philippines Sea, South China Sea, he will go to war. Whatever happens, happens. He will go to war”. In a Reuters report dated earlier today, May 30, Mr Esperon reported told journalists on Monday night: “The other night, the president said if his troops are harmed, that could be his red line”. In 1988 the Chinese Navy shot dead 64 Vietnamese marines and sailors standing in waist-deep water on Johnson South Reef (Đá Gạc Ma). The comments are being viewed with some skepticism by many. After getting off to a rocky start — one month after President Duterte took office in June 2016 a United Nations Convention on the Law of the Sea (UNCLOS) tribunal convened by the Permanent Court of Arbitration (PCA) in the Hague awarded sovereign rights of Scarborough Shoal to the Philippines in a case brought by former president Benigno Aquino III — the Philippines economy has become heavily reliant on China. Chinese investment in the Philippines last year grew by 15 per cent, but from a very low base of only $27 million in 2016 to $31 million, while China’s largest economic lever, Chinese tourism, increased from about 700,000 in 2016 to more than 968,000 in 2017. In February Mr Cayetano announced that the Philippines and China will ‘aggressively’ pursue joint exploration for oil and gas reserve’s in disputed sections of the South China Sea, though the framework for the project is yet to be finalised. While last week the Philippines expressed “serious concern” over China’s bombers in the South China Sea, it has been mute on the installation of missile systems, angering some defence chiefs, politicians, and nationalists. Florin Hilbay, the former government lawyer who argued the case against China at The Hague and a strident critic of President Duterte called him “clearly compromised. “This explains his policy on the West Philippine Sea, inaction on drugs coming from China, approval of expensive Chinese loans, etc. This is culpable violation of the Constitution and betrayal of public trust”, Mr Hillby posted on his Facebook page on May 16. Attempting to deflect his inaction in the face of increased Chinese militarisation in the South China Sea, President Duterte has pointed out in the past that China’s installations in the Spratly’s were built during the time of his predecessor, and that the Philippines’ closest ally, the United States, did nothing to stop it. While talk of war and ‘red lines’ might make for good domestic consumption, the reality is that the Armed Forces of the Philippines (AFP) would be barely a minor irritant in the event of hostilities. Once one of the region’s most power military forces, the AFP is today ranked 52 out of 136 countries globally by Global Fire Power in its 2018 Military Strength Ranking, with China ranked number three behind the USA and Russia. The ranking represents a fall of two places over the 2017 list and a fall of 15 places since the 2014 rankings when it ranked 37 out of 106. In Asean it is only ranked above than Singapore, Cambodia, and Lao PDR. With just four frigates, ten corvettes, and 35 patrol craft, along with a mere 20 attack aircraft, any ‘war’ without the support of the USA or Japan would likely be short-lived and disastrous for the AFP. Earlier this month the Philippines Navy received its first Israeli-made Spike ER missile systems which will be fitted to locally made gunboats, the first of which may become operational sometime in the third quarter. A refurbished corvette from the Republic of Korea (ROK) is expected later this year, once the P250 million (about US$4.751 million) budget for it is approved.